Genres are essentially meaningless in this day and age — especially “pop,” a word that just basically implies music that is, well, popular. It could apply to hip-hop, rock, R&B and, of course, indie. 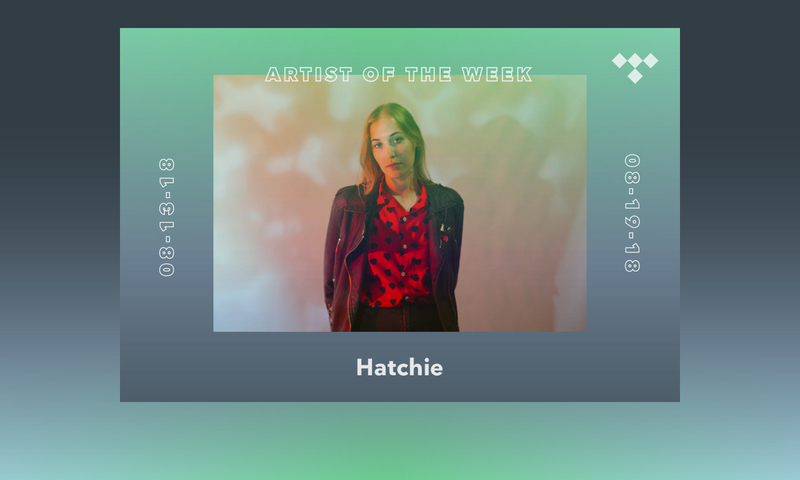 One of the latest luminaries in the indie-pop genre (whatever that means) is Brisbane, Australia’s Hatchie, who is also this week’s TIDAL Rising artist. 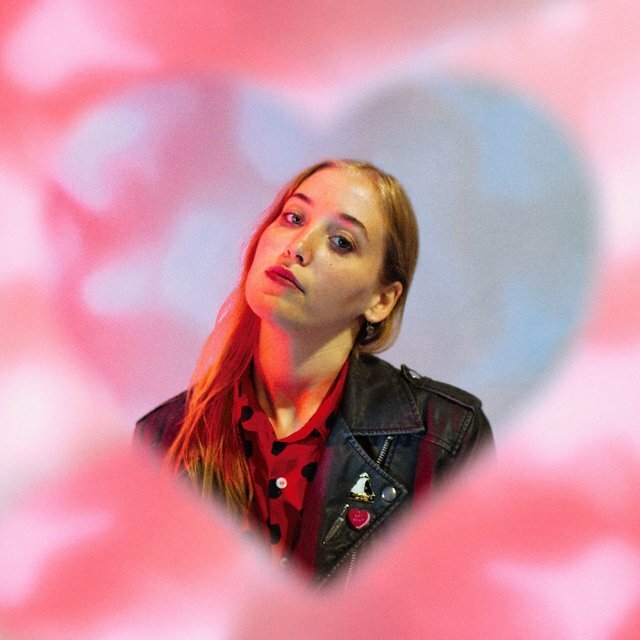 Her breakout track as Hatchie came along in 2016 when she recorded “Try.” It’s a poppy, simple (which isn’t a bad thing) song that sees Hatchie asking a potential lover to “try,” basically: “But I know you wanna try/I can feel it in your sigh.” That song caught the attention of a talent scouting project in Australia, and the offers from labels and other denizens of the music business began pouring in – all before Hatchie had tested her mettle as a live act. Now, the singer-songwriter has a proper band in place, including her boyfriend Joe Agius (who she says has been extremely supportive of her music), and a stunning debut EP, 2018′s Sugar & Spice. Get to know Pilbeam this week via an exclusive Q&A with the singer herself below, as well as a playlist of her current favorite tracks. How did it feel to ‘take off,’ so to speak? All of a sudden, it seems like you’re everywhere. Definitely disorienting. It was definitely a shock to me. Because I’ve waited so long. I had faith that choosing the right song and doing it in the right way [would work out], but I never expected to be, you know, getting attention from anybody like you guys or NPR or Pitchfork or Stereogum or whoever else. I’m still in shock over that, even though it’s been a year. When did it gel for you that this EP and this project were going to take off? Because I wasn’t sure in the beginning; I was preparing myself for the fact that [my music] might do OK, but I might still have to work my café job and do other things. But then a couple of months in when I got the deals, I was kind of like, ‘OK, I’ve got to take this really seriously now. It’s amazing.’ And yeah, it kind of all became reality for me. Which is cool because I got to quit my job a couple of months ago. At least for the time being. Do you remember the first song you ever wrote as a kid or as a teenager? I don’t think I could remember the specific song. There was definitely a period when I was about 12 or 13 when I started learning guitar and played around and wrote these definitely awful songs that I never want to hear again. If they’re somewhere, I don’t want to know. If they’re on a tape recorder, I hope I never find it because I know it would be just terrible. No, I don’t think I could remember the specific song, but [I wrote my first song] when I was about 12, yeah. I actually started properly seriously writing songs again when I was 16 or 17, I think. Do you remember the first song you wrote where you were like, ‘Oh, actually I’m a good songwriter’? There’s this song that I wrote for my other band that I’m still in, Babaganouj, that I’ve been in since I was 18. I wrote this song ‘Bluff’ for that band, and it was released as a single, and that was probably the first song that I was really, completely happy with and proud of; I showed it to people straight away. Before that, I was definitely really insecure about my writing. I read in an interview that you think you really haven’t had anything bad happen in your life to draw from in terms of your writing. Where are you drawing from now? Have things changed since you wrote this EP? I guess when I said that I meant that in a grand sense nothing really awful has happened to me. Like, I’ve definitely had periods where I’ve been incredibly unhappy and anxious and things like that that most young people suffer, so that’s probably what I draw most of my inspiration from. From periods when I’m dissatisfied with my life or with my friendships or with any relationship. In hindsight, the EP, it ended up being all about love, which wasn’t intentional. The music that I’m writing now … I guess I’m writing more music that isn’t just about being unhappy. There’s music about, I don’t know, figuring things out and growth and change. I think I’m still working through the lyrical content of the music I’m writing now and really figuring that out. There’s definitely less despair and unhappiness in the lyrics I’m writing now. And it’s not because my life is perfect now or something. I think I’m just learning how to write about other feelings and other things. Yeah, I think I’m still definitely learning, which is an interesting process for me. I can see that. Love and sadness are kind of the go-tos for music, because they’re extremes. It’s much more of an effort to go with a less tangible feeling. Yeah. I completely agree. They’re the easiest things to write about because they’re the things you’re most emotional about. Also, the easiest things to make sound poetic or even more emotional than they actually are. So I think that’s why so many people, including myself, kind of fall into those habits of writing about love or sadness. Speaking of, I was really impressed that your boyfriend is in your band. I was in a band with my fiancé for a year, and it was pretty hard. How does that work? It’s definitely something I was a bit worried about. But I think we’re very good communicators, so even if it does affect our relationship or our relationship does affect the band, we’re very aware of little things like that. We’re kind of just figuring it out as it goes along. It’s really a bit weird sometimes but it’s also amazing because we really wouldn’t see each other that much if we weren’t in the same band, because I’ve been going away so much this year. But we’ve both been in bands for over five years. We’re both very aware of how things work and he’s nothing but supportive, so I don’t know how I could do it without him. So I’m very, very lucky that he’s come on board and kind of put his own creative projects on hold to help me with this. So kind of a broad question, but you mentioned this record was a lot about love. What is your definition of love? Your personal definition? Oh, my God. I don’t know. That’s a very good question, though. There’s obviously no simple answer. Love is every emotion in one. To me, it’s not like one feeling or one emotion. It’s everything mixed together and it’s such a powerful thing. I don’t know. I wish I had a more succinct answer for you. I guess ‘everything’ is my answer. So I know you’re a big pop fan. What would you say is the perfect pop song? I’ve been talking a lot lately about Carly Rae Jepsen and I think some of her tracks are definitely perfect pop tracks to me. What makes a perfect pop track for me is when it does something that you’re not expecting, but it just works completely. I think pop isn’t that much of its own category anymore. There’s so much indie pop, and it’s like, ‘Is that just pop now or is that just indie now?’ There’s an ongoing argument about what pop is, so it’s kind of hard to figure it out. You can definitely say that my music is pop music, but some people have called some of my songs shoegaze and there are other people who call my songs indie or whatever. I think pop is encapsulating of a lot of genres, and people are a bit afraid to admit that.